The protection of village cores cannot be traded, Din l-Art Ħelwa said. A proposal by developers to make it easier for them to increase development in certain areas with the claimed objective of protecting areas next to village cores has been slammed by Din l-Art Ħelwa. During a meeting with the Prime Minister on Wednesday, the Malta Development Association suggested buying gross floor area of property - essentially air space - near village cores, ensuring that these remained undeveloped, with that offset by payments for projects elsewhere. In a statement, Din l-Art Ħelwa said it was firmly opposed to the idea. At the MDA’s annual general meeting, their president had complained that developers often faced delays due to heritage concerns. It now seemed to be proposing that members would stop trying to build multiple storeys in old village cores but instead they should be given permission to increase construction in other parts of the island. This was an indictment of the ineffectiveness of the authorities that were currently entrusted with protecting village and town cores. The proposal completely negated the basic concept of planning regulation, Din L-Art Ħelwa. Planning laws and policies existed to safeguard the interests of the community, and developers could not be allowed to trade rights and reassign floor space from an area to another. The protection of village cores could not be ‘traded’ for the disregard of existing planning policies elsewhere, the NGO said. Din l-Art Ħelwa asked the government to immediately and unequivocally reject the proposal and instead strengthen the protection of urban cores and rural areas outside the development zones. 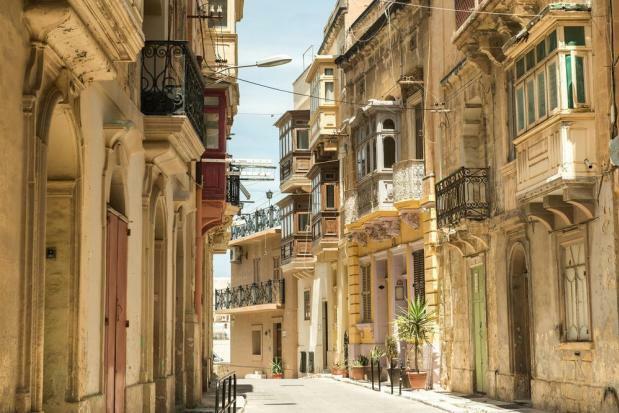 The Democratic Party said that the MDA's proposal came with several risks and announced that party leader Godfrey Farrugia would be seeking a meeting with the developers' lobby. Fellow PD MP Marlene Farrugia said Malta's towns and villages needed proper planning protection. "Are we going to barter our very own skyline and heritage, which belongs to all of us, in exchange for land which in some cases may be public land?" she asked. The PD warned that developers had to keep their greed in check or they would end up "destroying themselves like they are destroying our country". In a statement on Friday afternoon, the MDA denied that its proposal had anything to do with "reassigning" building volumes in UCAs and urban cores, as Din L-Art Ħelwa had said. The MDA said that its proposal was to effectively 'freeze' development in certain areas which since 2006 could be developed to buildings of up to four floors and a penthouse. In return, developers would be able to build higher in areas where height limitation was not an issue. "This is solely in the interest of the country to keep the identity of certain towns and villages," the MDA said. "To suggest that the MDA wishes to any way tamper with urban cores, UCAs and rural areas outside development zones is totally incorrect."